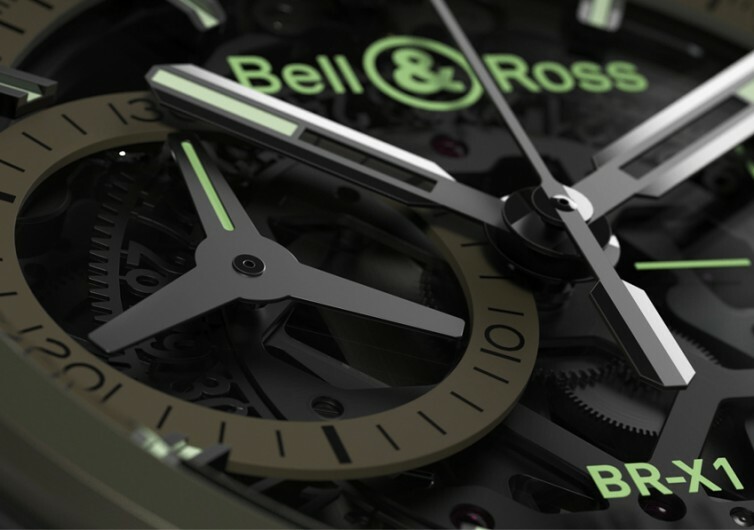 Bell & Ross, while relatively new in the timepiece-making industry, has been consistently making professional aviation/pilot watches since its inception in 1992. 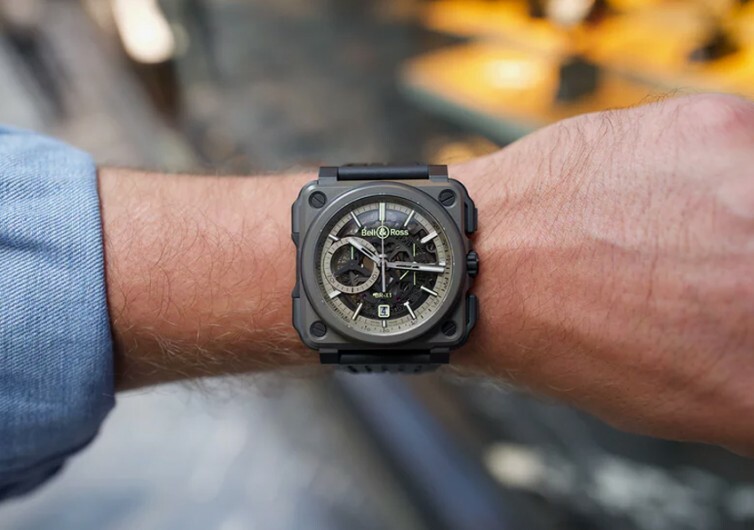 Their timepieces have been revered by wristwatch cognoscenti all over the world, but it’s their philosophy of form being shaped by a function that has clearly differentiated them from the rest. 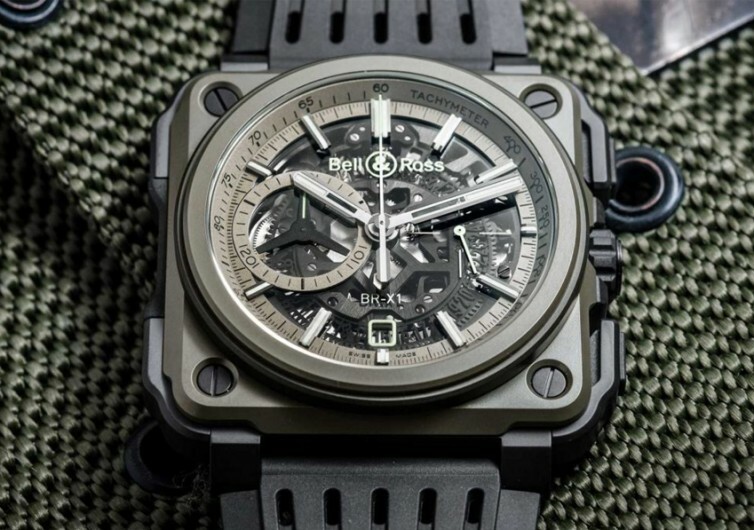 With the BR-X1 Military, Bell & Ross is yet again ready to shake the world of horology. A glance at the X1 will tell you that a lot of thought had been put into the design of the watch. With a contrasting circular face embedded on a square case and complete with skeleton dial, the X1 is nothing less than a work-of-art. 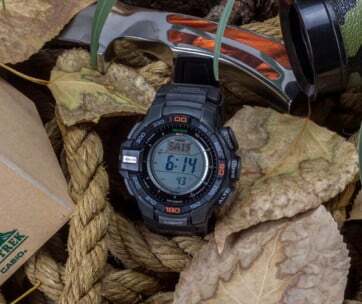 The 45-mm case takes on a squarish shape producing a stronger look on the wrist. 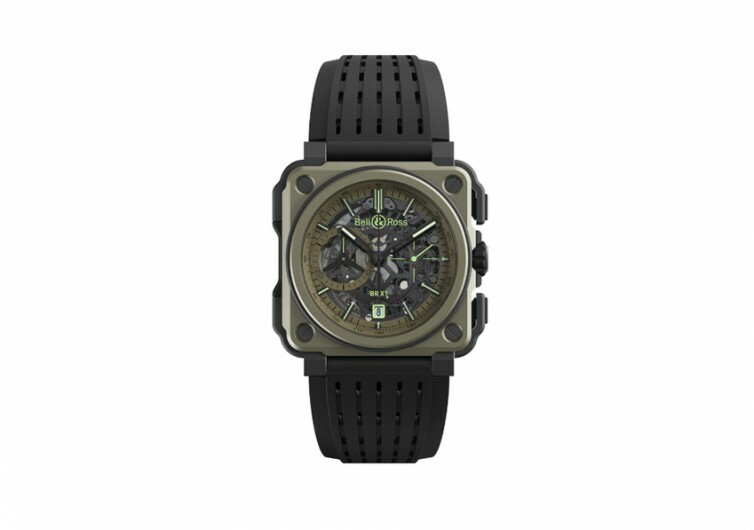 It’s made of high resistance titanium and finished in the classic khaki color of the military. 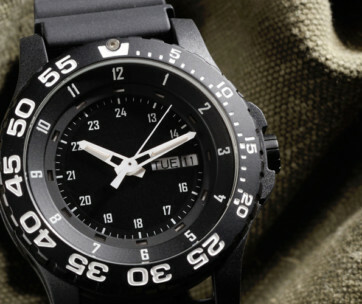 Rubber inserts and black ceramic complement the lighter shade of the case. 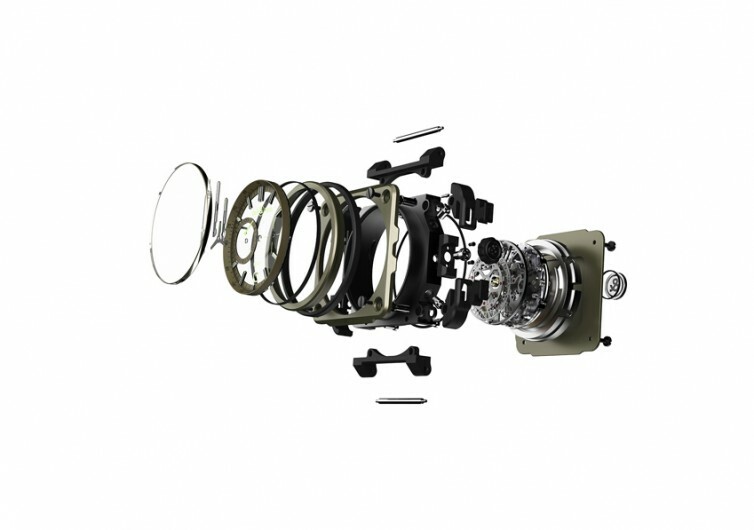 The dial, covered with premium sapphire crystal glass with anti-reflective coating, is duly skeletonized to give the wearer a glimpse of the intricate mechanisms that are running the BR-X1 Military. The minute and hour hands, as well as the numerical indices, are filled with Superluminova C3 for optimum visibility in low-light or darkened conditions. Featuring the Caliber BR-CAL 313 movement, the BR-X1 Military is a fully automatic mechanical watch that gives you the distinct sweeping motion of its hands. The upper bridge is shaped in an X pattern as if giving you the crossbones of a skeleton logo. The 56-jewel skeleton chronograph comes with a skeletonized date at the 6 o’clock position and a 30-minute timer positioned at 9 o’clock. 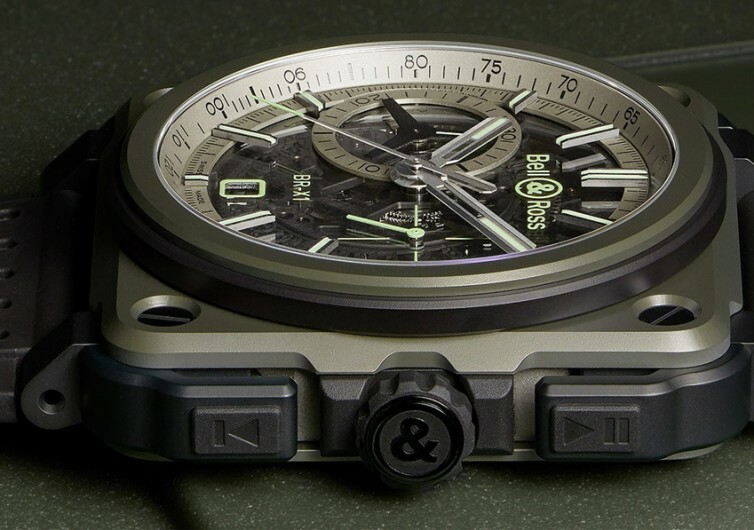 The BR-X1 Military is an elegant-looking chronograph watch that has a robust construction and thoughtful detailing. 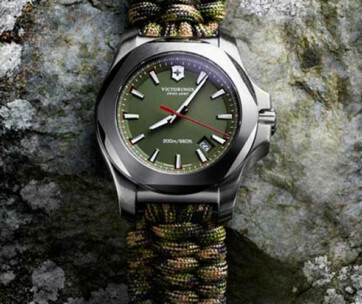 It is, without a doubt, the perfect wristwatch for the adventurous man of today.